The 19th national congress of the Communist Party of China is underway. Every day the contrast between the Chinese model of development towards socialism and India’s failed multi-party democracy becomes starker. The vision for the world presented by China’s leaders offers eradication of poverty in China in the next three years. There is 100 per cent literacy and 100 per cent electrification. Every poorest of the poor rural family whether landless or with some land has a government led access to the market supported by direct government payments to support health and productivity. The ecological reconstruction of society after the rapid industrialisation phase is beginning in earnest even whilst urbanisation continues. Anyone reading Xinhuanet news would be mad to succumb to the propaganda of the Indian political parties that make out that China is unfree. The Communist Party of China has a vision in the way India simply does not. The vision presented by the Communist Party of China would draw in anyone but the most blinkered and brain washed. And all this as the Central Bank of China looks into ushering in the phase of full reserve banking by replacing bank issued electronic money with digital fiat currency. This would wipe out public debt at one stroke and allow money issuance to be tailored simply to the currency needs of the country for a “clean and beautiful world” at the same time as putting the credit business more directly in the hands of the central government. Controlling pollution let alone eradicating poverty are possible because of this state regulation of money. Despite these world significant achievements in China the leaders of all the bourgeois parties in India from BJP to INC and in between refuse to abandon their addiction to petty squabbling whilst leaving the Western banks in dominant position via the Reserve Bank of India Act 1934. Even the upper caste led communist parties in India are devoted to multi-party democracy in India and make alliances with bourgeois parties for short-term electoral advantage. Meanwhile the structural and constitutional failures of the Indian set up, – including at least half a billion undernourished children, women and men, abject poverty due to landlessness of the majority and illiteracy of a large minority of the population, average of just fifth standard schooling and total abject exposure to flood and drought without government support, and much more, – are not analysed in depth. What are the causes of the depressing state of affairs and what is the way out? The only way out in India is to abolish multi-party democracy and create a one party state committed to upholding the constitution and using the country’s sovereign money to do so. Obviously unless the Hindu Rashtra-led onslaught that has destroyed the thinking capacity of Indians is reversed this will not happen, but this is not the sole precondition. The main precondition is the willingness of petty politicians to abandon their selfish party political personal struggles and unite in the interests of the country once they get into power in 2019. In my opinion the aversion to a unity government of all parties in 2019 once the BJP is booted out should be overcome. I cannot understand why upper caste Indians put the freedom to indulge in pointless politics above the right to life, right to livelihood, right to equality, fraternity, liberty and justice. 57 Indians own more than the 70 per cent poorest Indians. And yet this is not worth declaring a national war on poverty for. I have lost all love of the country. The very benefits of sovereignty and Independence that were so hard fought for have served only those who wished to destroy the very principles on which the country was founded. Nor can I stand my country of birth Switzerland of course. The banks there cause six times more damage and destruction outside their borders than what the international system accounts as the damage caused by Switzerland. But the advantage of Switzerland is similar to the advantage of China. It is a one-party system where there may be several political parties but the country is ruled by a strict system of power sharing between the parties at the cabinet level. The interests of the constitution and its purpose of assuring liberty, equality, justice and fraternity to all residents are put before the interests of political parties. The way forward for India is to establish a national coalition at the centre committed solely to fraternity, justice, liberty and equality and generally upholding the constitution. The money system with a combination of indigenously printed notes, coins and digital fiat currency can take away the powers of the private banks to be the issuers of electronic money, and it can allow India to shake off the dominance of dependence on foreign exchange. Let’s see whether it happens in 2019. 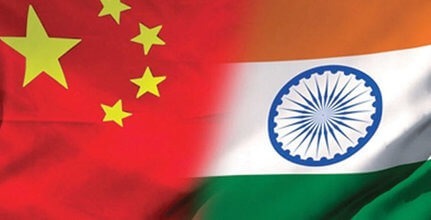 If it doesn’t India can always just be part of China’s world free trade system and become one of the states of China, trading more and more, even internally, with the RMB, even whilst glorying in its earth-shattering Hindu past and present. Much like Switzerland, which a long time ago signed the free trade agreement with China that is making it more and more a part of China’s sphere of influence: and no one cares at all, in fact they like it; Indians too can become de facto part of China’s currency area. There is no doubt in my mind at all that the multi-party system India adopted at Independence is just one more homage to the British colonisers that the upper castes deploy for their own gain in India along with the entire edifice of laws constructed explicitly with the purpose of overthrowing the constitution in the last 70 years. The only sad thing about the China-run future for Indians is that the poor will continue to suffer, because China puts its own citizens first in social welfare, and deploys its RMB solely for trade. China is not a donor on the world scene. But then, even that is better than what Indian upper caste are doing to the majority Indians today: depriving us not only of land, work, and the last vestiges of government infrastructure like food and schooling and hospitals, but even of every last vestige of opportunity for local trade with each other, all because the state has no vision for the Rupee. The country has been taken over by inhuman private money ideologues of BJP and INC, and left us in a pathetic and abjectly undignified condition without land or cash that will probably last forever. We are condemned to struggle forever in India, as the state serves only itself, unlike in China. It is instructive that only livemint and swarajmag reported on the PBoC plans to introduce a digital fiat currency, and that the liberals like Scroll etc etc are unaware or unwilling to acknowledge the vision this represents. And what about the communist online magazines? I am still looking to find their position paper on the role of digital fiat currency for India. Let’s hope it is positive, when they do get round to making an utterance.